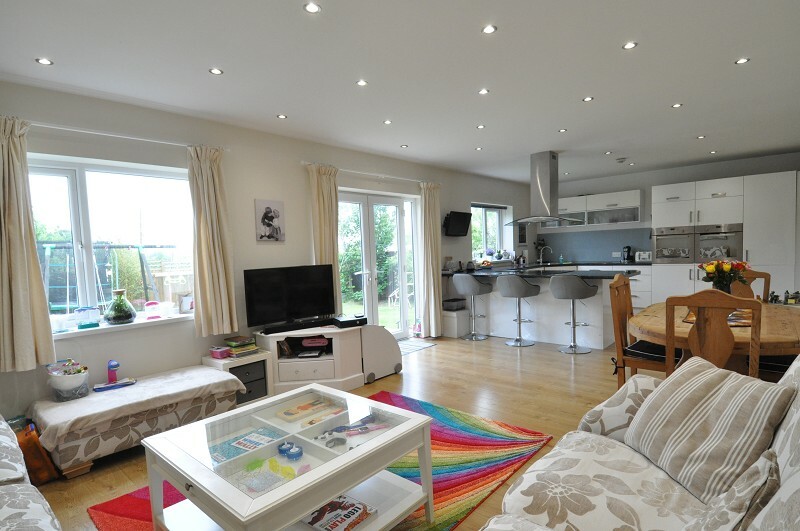 Detached, refurbished, 4 double bedroom property with stunning, open plan, kitchen, dining & informal living area. 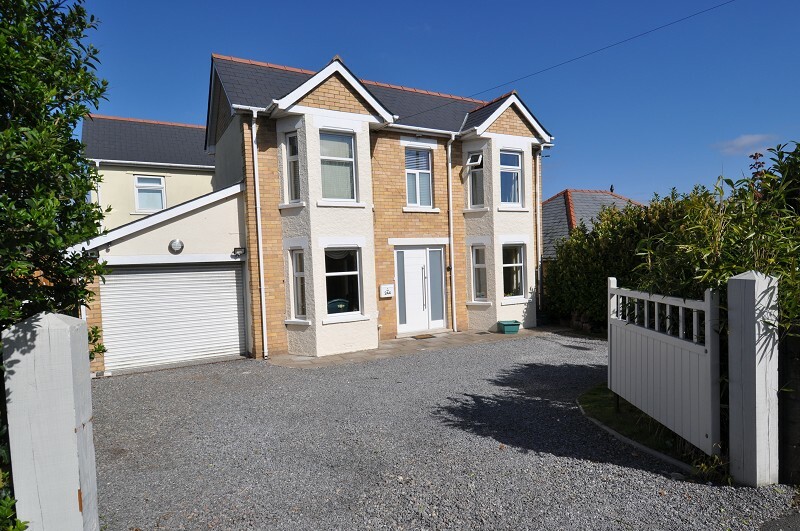 Generous driveway & garage with electric door. 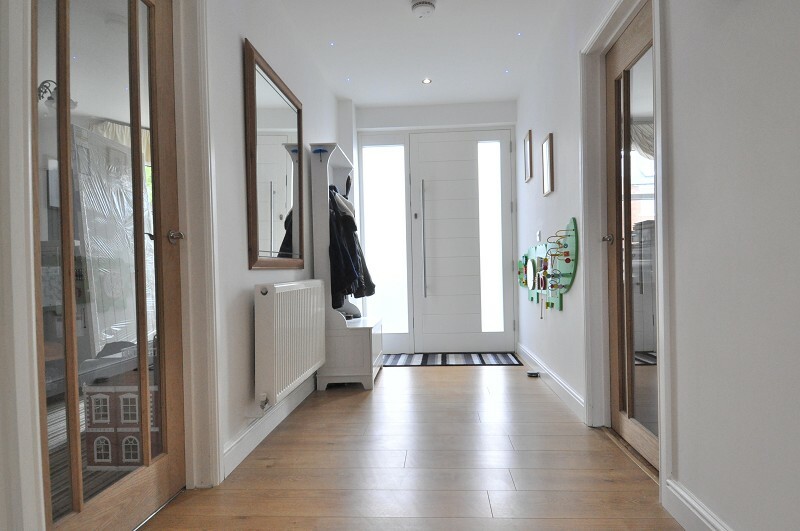 A bespoke, solid wood entrance door with glazed side panels leads to the spacious and welcoming hallway with feature recessed lighting and wood effect floor. 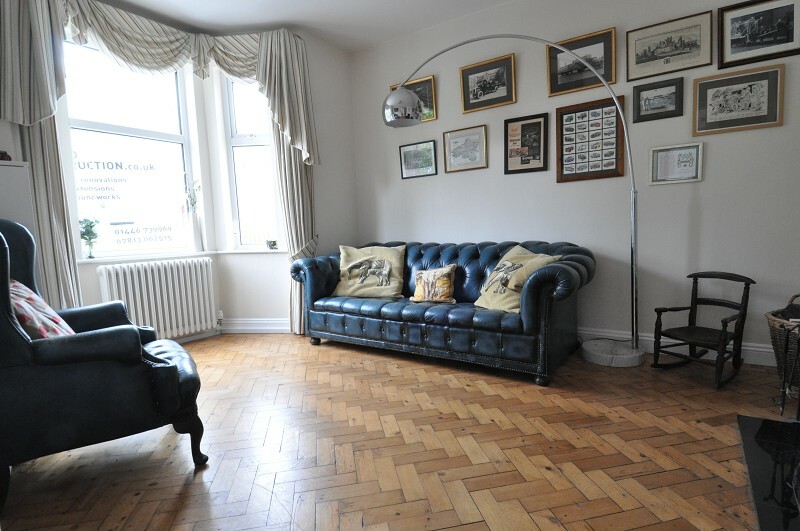 The extensive living areas comprise 2 reception rooms with original wood block floor and bay windows (one currently carpeted), a cloakroom / WC, utility room and stunning, open plan, kitchen, dining and family area. 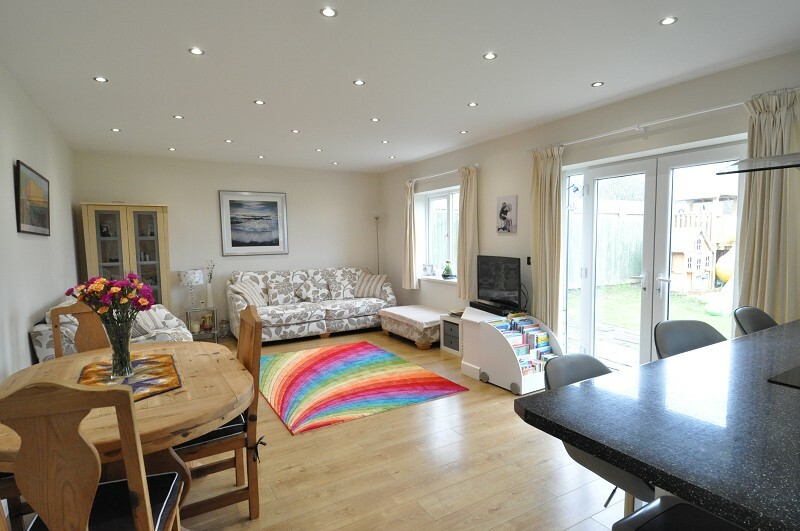 The open plan area has a pair of windows overlooking the garden and French doors opening onto the terrace. 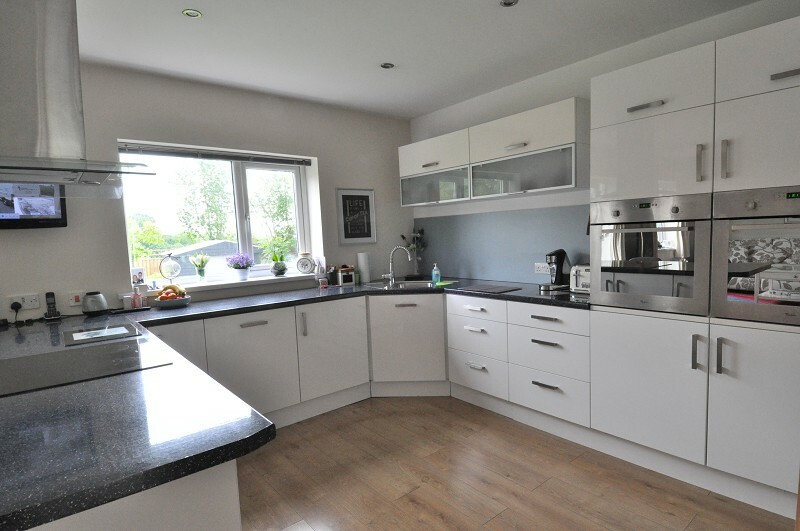 The high specification kitchen is fitted with an array of storage units, generous work surfaces and a sink and drainer with mixer tap. 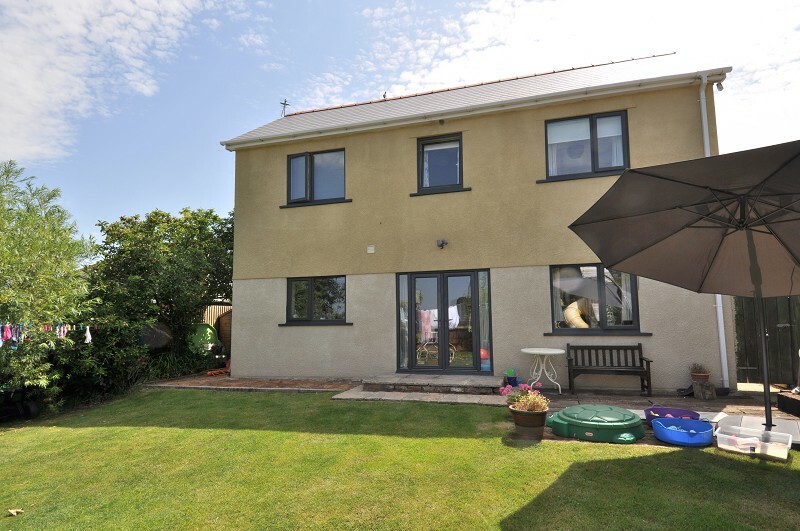 There are twin electric, eye level ovens, an induction hob with extractor unit over and integrated appliances including a fridge / freezer and dishwasher. 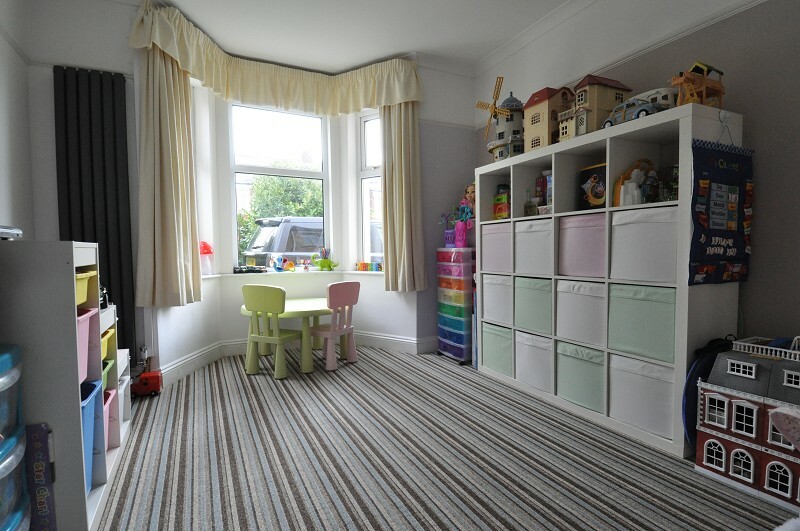 Space / plumbing for the washing machine and tumble dryer can be found in the utility room. 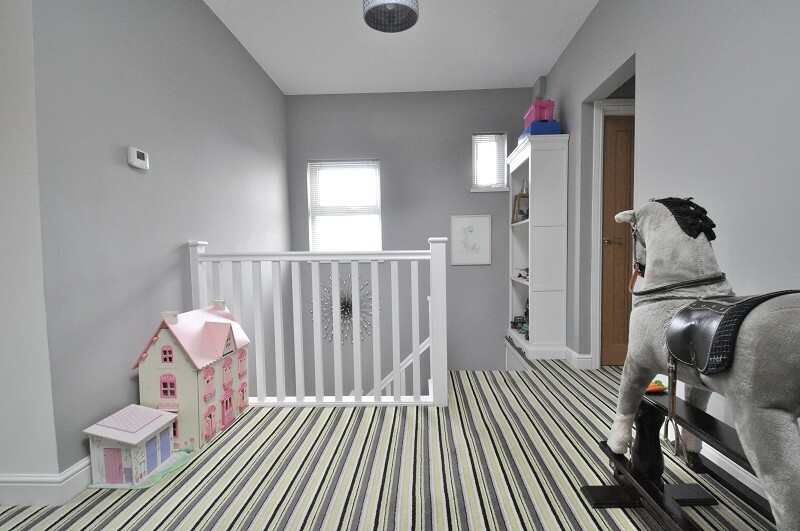 A wood effect floor, with underfloor heating, runs throughout and there is recessed spot lighting. 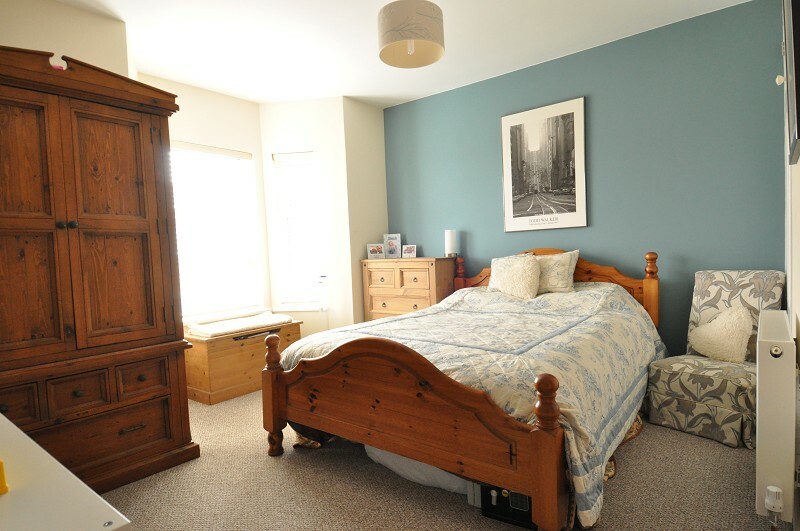 The fist floor accommodates 4 double bedrooms, one of which has an en-suite bathroom with shower, wash hand basin and WC. 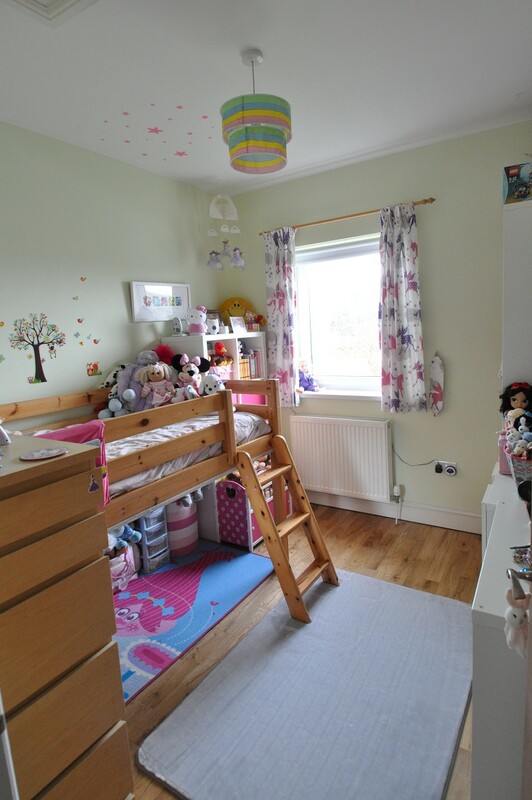 Two of the bedrooms, located to the front of the house, also have deep bay windows. 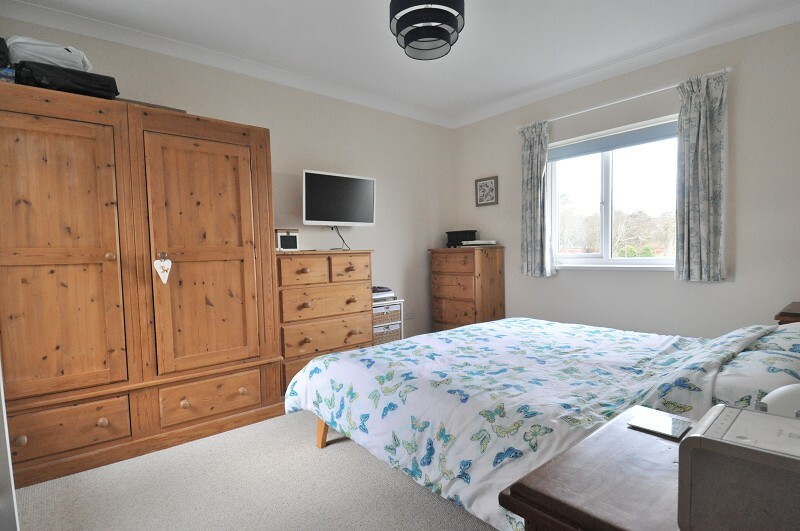 In addition to the bedrooms, there is a quirky storage area (presently a children's den) which has a window looking into the garage / pool. 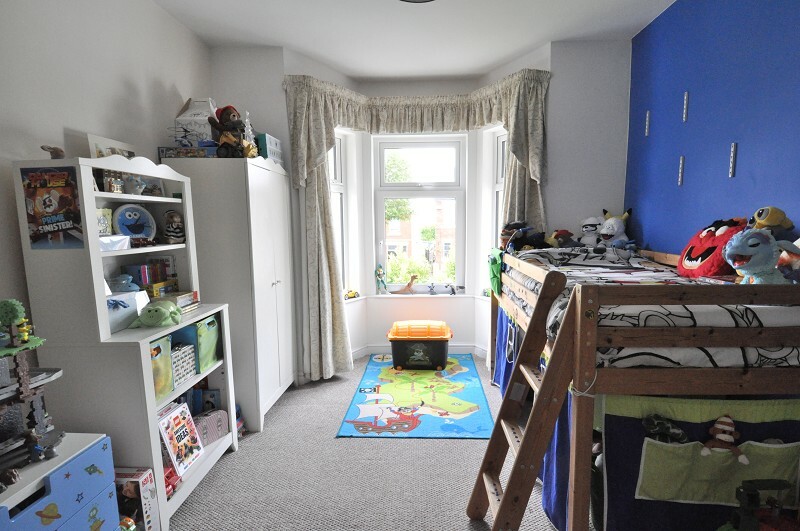 All rooms are located of a spacious and light landing with both side window and Velux skylight. 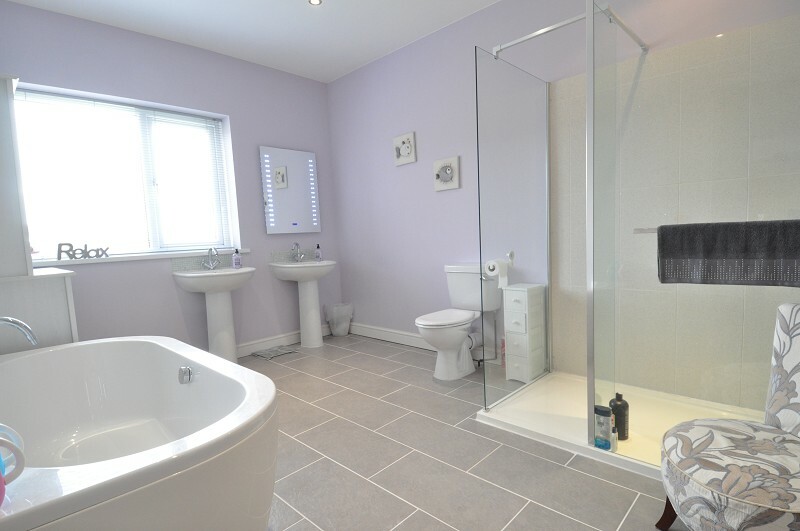 A luxurious bathroom, finished with underfloor heating, bath, large walk-in shower, WC and wash hand basin completes the first floor accommodation. The garage lies under a pitched, slate roof with Velux skylight and incorporates an electric roller shutter door to the front. 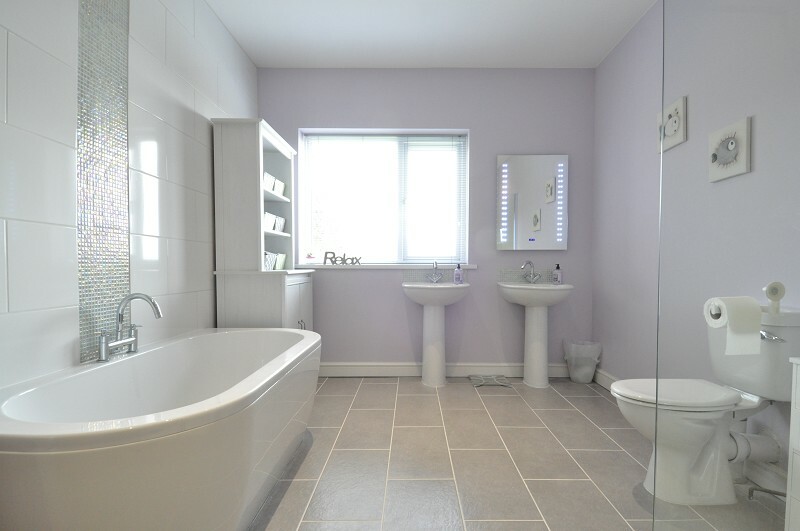 The garage presently accommodates a fitness / hydrotherapy pool and is clad throughout. The pool is a compact and allows you swim or exercise against a broad, deep current that's adjustable to any speed, stroke or ability. It also allows you to swim year-round in any type of weather. If the pool however is not of interest, the owner is happy to remove it and re-instate the garage. Double gates lead to the generous driveway which is large enough for several parked cars. A pathway links to the rear. 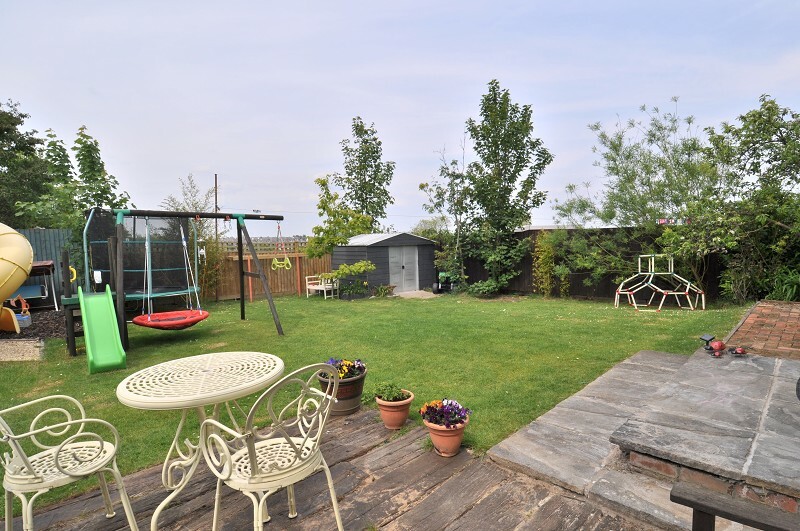 The large rear garden, bar the sun terrace, is laid to lawn and enclosed on all sides by timber fencing. 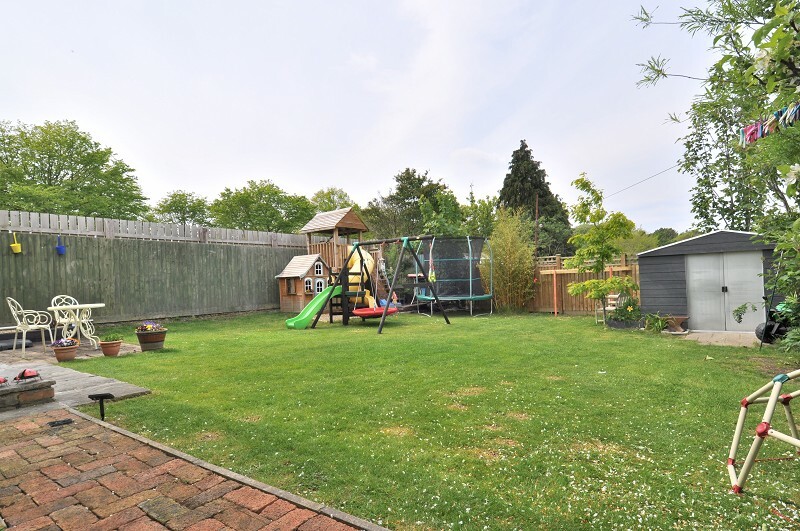 The garden accommodates a garden shed and children's play area. There is also a cold water tap and outside lighting. 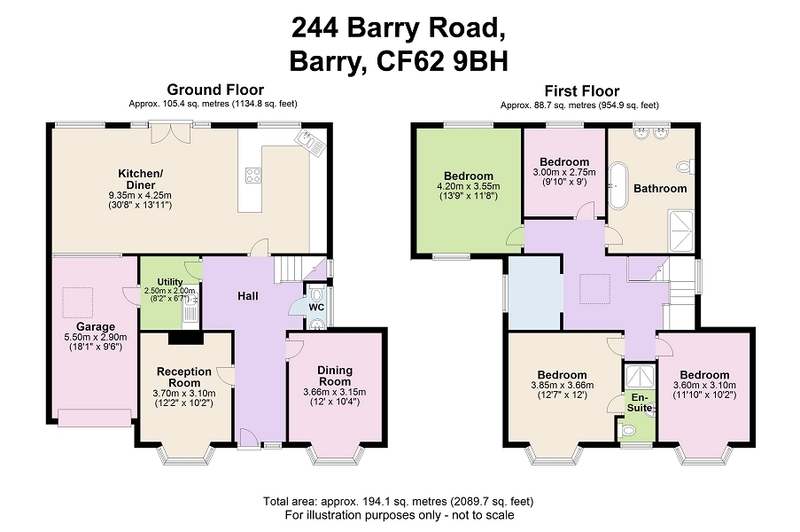 Room dimensions, both metric and imperial, can be found on the attached floor plans.